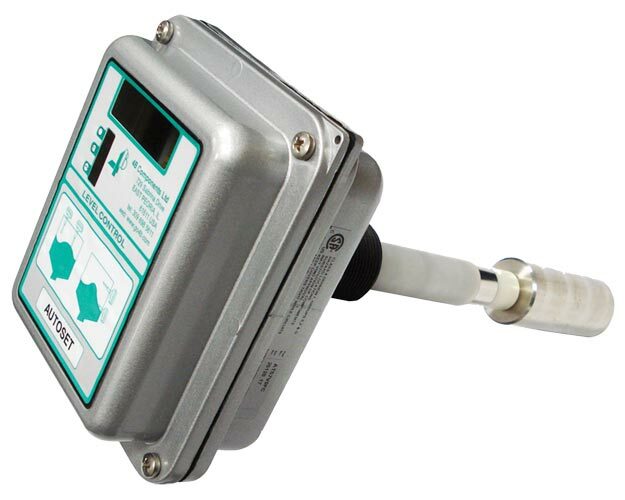 The Auto-Set series incorporates simple push-button calibration with microprocessor enable/disable switch for total protection of stored values. 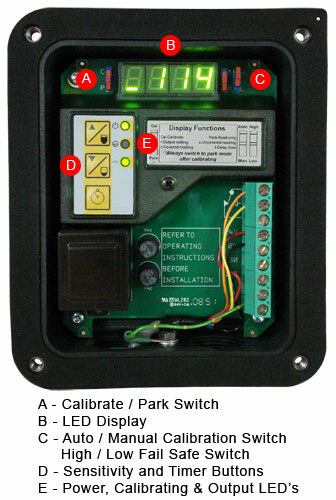 Once the Auto-Set is calibrated for the application it never has to be re-calibrated. Data is stored in non-volatile memory so it is not affected by power loss. A four digit LED display shows set values for uncovered, covered and trip settings, allowing simple set-up and adjustment. A set of voltage-free changeover relay contacts are actuated when the level of the material in the container reaches the probe. The unit incorporates a unique power shield which automatically compensates for material build-up around the probe and on the sides of the container, preventing false indication. The solid state electronics are housed in a weatherproof, flame retardant, glass-reinforced nylon enclosure. The Auto-Set is top or side mountable with 316 stainless steel probes lengths up to 10m long. Can the Auto-Set™ be side or top mounted? The power shield creates a barrier and enables the unit to ignore material built up on the probe, preventing false readings. The Auto-Set™ is available in three power shield lengths, and can be used with walls that are 3, 11 or 14.5 inches thick. With the longer power shields, installation through thick concrete silos is easier since only a one inch diameter hole is needed for probe insertion.